Home » Uncategorized » Annular Solar Eclipse Time-Lapse May 22, 2012 Ring of Fire!! 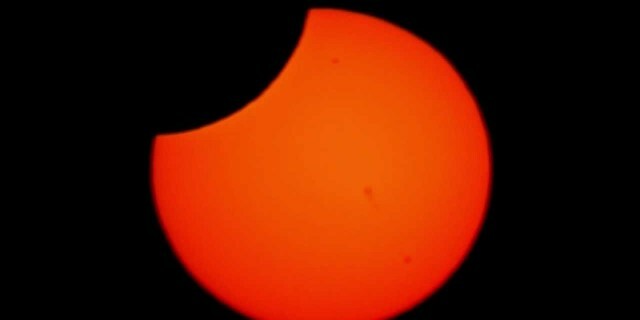 Annular Solar Eclipse Time-Lapse May 22, 2012 Ring of Fire!! I was fortunate to travel to Zion National Park and see a perfectly centered Annular Solar Eclipse, and the Ring of Fire!! 1. Using my Telescope, Canon T3i, and intervalometer, I took three picture in AEB mode every 20 seconds, 1 dark, 1 medium, and 1 bright. 2. I then created three time-lapses each from the three different exposure: Dark, Medium, Bright. 4. Using Adobe Premiere Pro, I cross faded the three time-lapses so that the sun stayed relatively the same color and brightness. I rushed to post this so I decided to not add music. (I’m very bad at picking music, so it takes me forever!) I also decided to post this without waiting to complete my other time-lapses from my trip to Zion National Park. Hopefully I’ll be able to work on those soon!